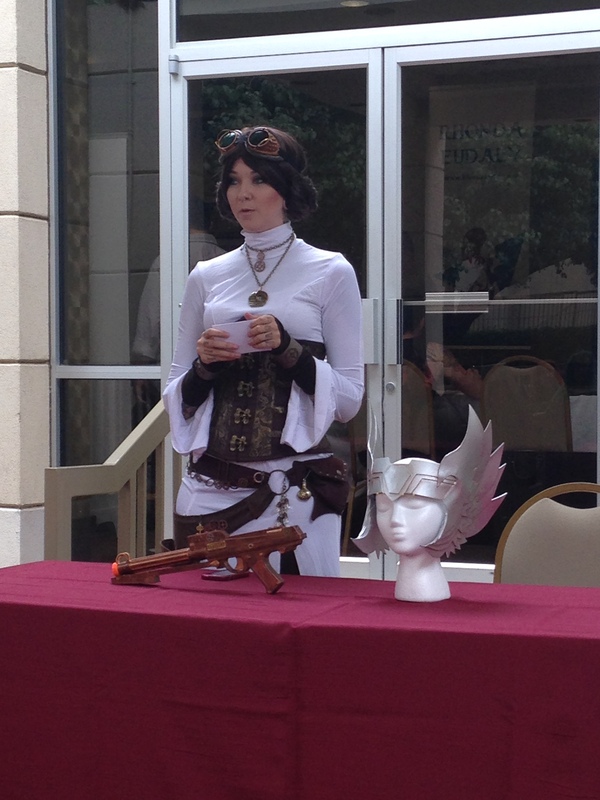 On Saturday, I attended the North Texas Comic Book Show! After all of my traveling and moving over the last month, I was antsy for an opportunity to dress up and hang out with fellow geeky people and this event fit the bill. 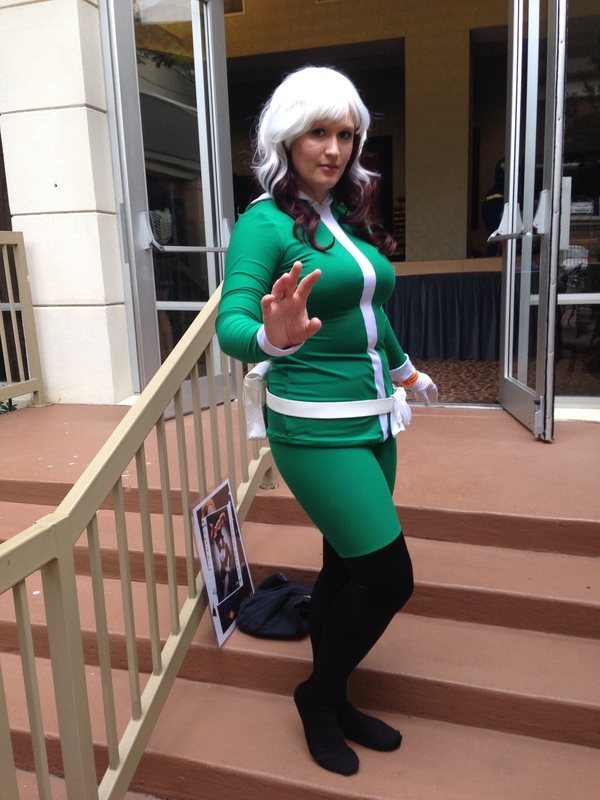 I went as Marvel Now Rogue. It was a ridiculously comfy costume. Thanks to Starman for the photo! And no, I’m not wearing a corset like I normally do. Because apparently I can’t follow my own spandex tips (see: lazy. Lacing oneself into a corset requires effort and I had none that day). This was my first time attending one of these shows (they hold 3-4 a year) and I was surprised by how intimate it was. I actually had the time to sit and chat with people! At most of the bigger cons, I might see someone I know, say hi, snap a photo, and then rush off. Getting to really talk to people and hang out was by far my favorite part of this con. I got to hang out with several old friends and new. Ran into the lovely ladies of Gone Catawampus! We’ve been chatting via blogs for a little while, and we finally got to hang out for a while on Saturday! 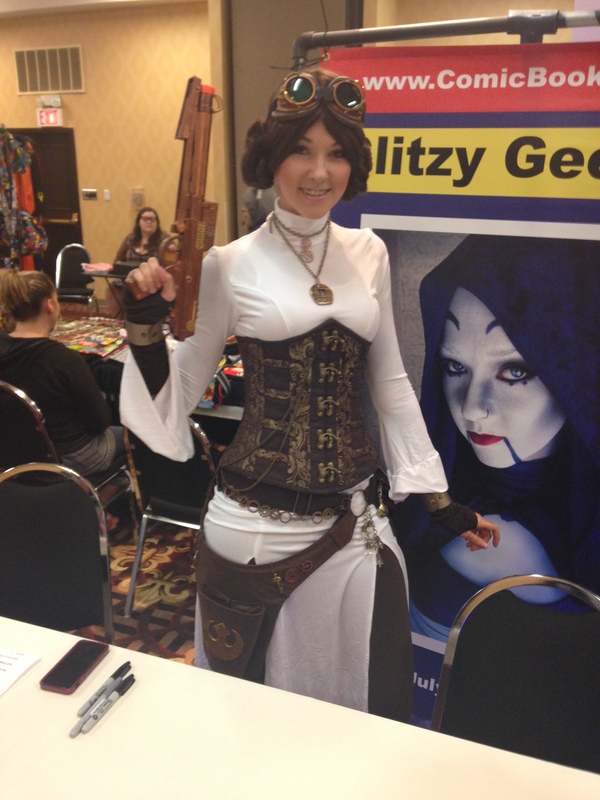 GlitzyGeekGirl as Steampunk Leia. I won a Spiderman poster from her! The show didn’t have much in the way of “celebrity” guests, but there were several local artists. I bought far too many prints (but really, can you ever have too many?) for my craft room. Now I just need frames to put them all up! 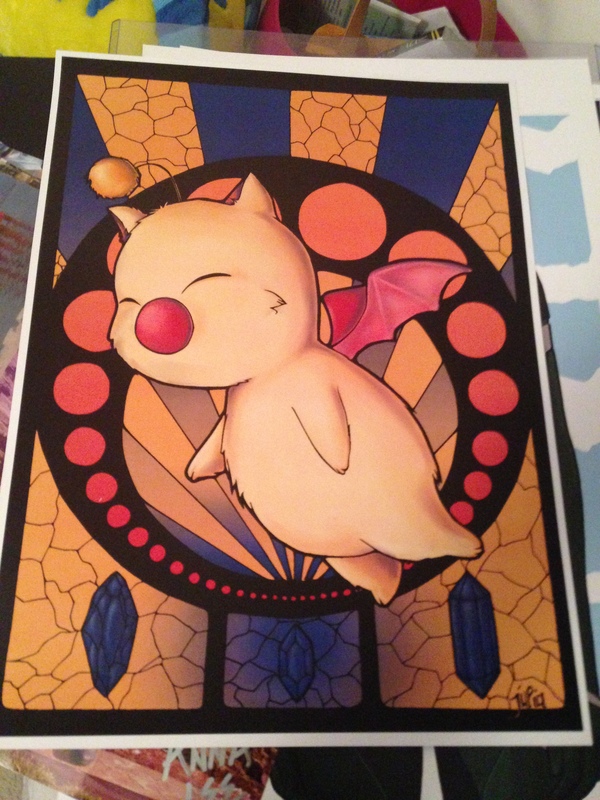 I have a soft spot for moogles, so this print was a must. I can’t remember the name of the artist right now, but I’ll link as soon as I can! The panels were held by the pool, so I was really grateful that the weather was a cool 70 degrees, especially since I was wearing my new Rogue. 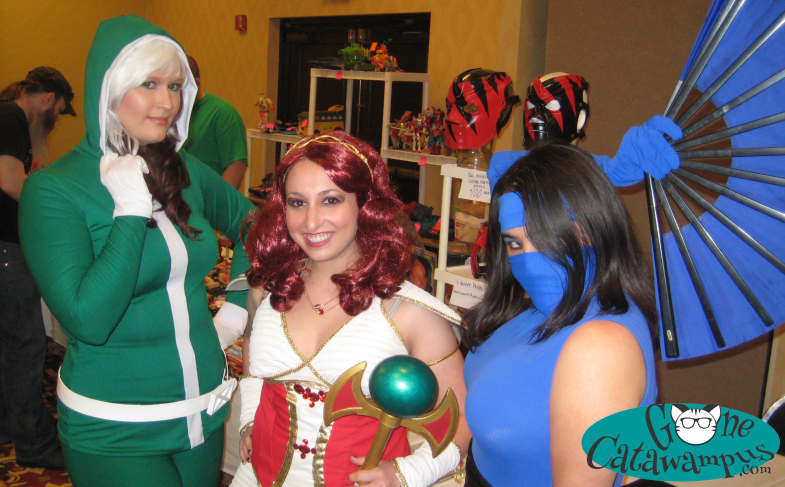 I attended two of the panels: GlitzyGeekGirl’s panel on cosplay construction and Comics are for Everyone. 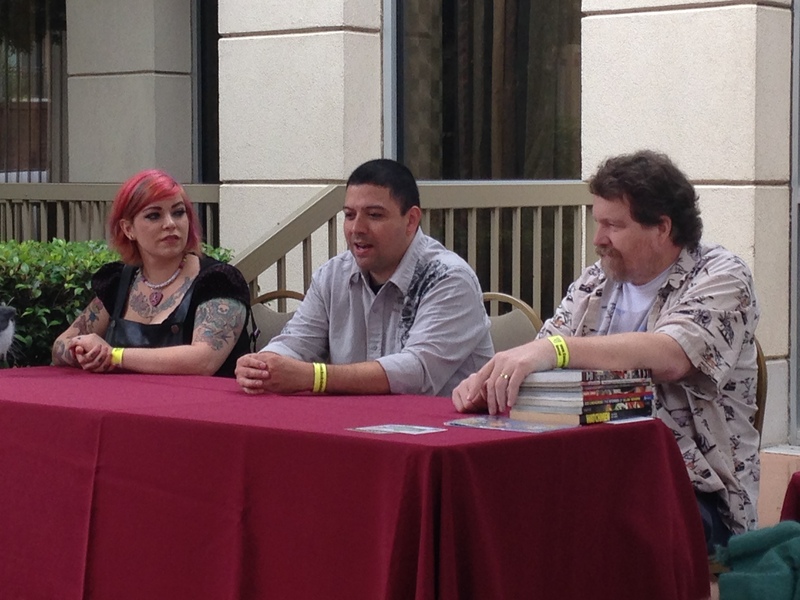 I really enjoyed attending both of these, and since it was a smaller crowd, there was a a lot of audience interaction. 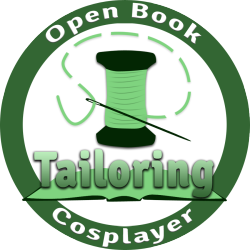 GlitzyGeekGirl’s panel on cosplay construction. Thanks for all the tips, Anna! The cosplay contest was also very entertaining. This show really emphasizes the “play” part of cosplay, so they highly encouraged getting into character. 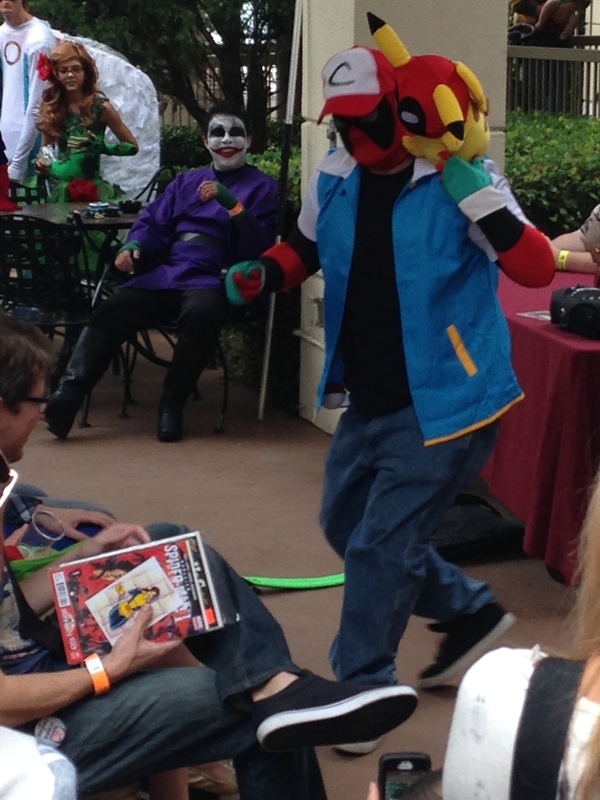 One of my favorite performances was from Pokemon trainer Deadpool! Apparently I still know all the words from the theme song. All in all, this was a fun show. I can’t say I’ll make it a regular event, but it was a great low-key filler between bigger shows. You can see the rest of my photos on my Facebook page. My next events are the Dallas Comic Con Fan Appreciation Day and A-fest. Hope to see some of you there! I wish my area had more smaller shows like this! It sounds like a great time. Looks and sounds like a lot of fun, I’d hate to be a judge on a cosplay contest since I’d want to award everybody, so many great costumes and effort!